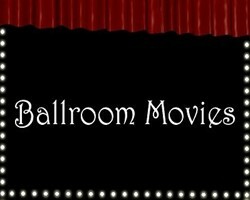 Come Out for the Movies! a 14 foot screen in our spacious Ballroom. August 14, 2002 - 7 pm - "Chariots of Fire"
October 30, 2002 - 7:30 pm - "The Dark Angel"
February 14, 2002 - 7:30 pm - "The Song of Bernadette"
Drinks, Snacks, and Movie Magic! John Gielgud and Lindsay Anderson as a couple of Cambridge fogies. Vangelis's soaring synthesized score, which seemed to be everywhere in the early 1980s, also won an Oscar. 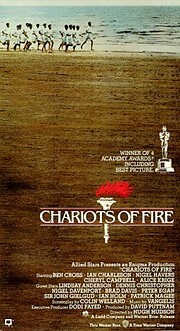 Chariots of Fire was the debut film of British television commercial director Hugh Hudson (Greystoke) and was produced by David Puttnam. Event: Witness to Hope: The Life of Karol Wojtiyla, Pope John Paul II: the showing of the documentary based on the book by George Weigel to honor the 24th Anniversary of John Paul II’s Papacy. Factory worker, quarryman, poet, playwright, actor, mystic, priest. 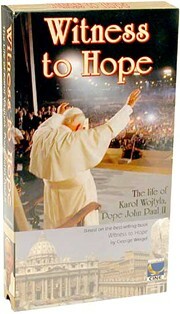 Karol Wojtyla, known to the world for a generation as Pope John Paul II, arguably the most recognized man on the planet and the subject of a new documentary: Witness to Hope. Produced by Catherine Wyler, daughter of the legendary Hollywood filmmaker William Wyler, Witness to Hope traces the life of the first non-Italian in 450 years to occupy the chair of St. Peter. Based on the biography by theologian George Weigel, the film is widely acknowledged as the most complete and intimate portrait ever of this extraordinary leader. the seemingly-invincible Soviet Union, helping to fashion in the process the first visible cracks in the Iron Curtain. Witness to Hope synthesizes the more than 20 hours of private interviews Weigel conducted with the Pope for the book, along with rare historical photographs, archival material and interviews with childhood friends, to present a portrait not so much of "the Pope," but of the man who became Pope—tracing some of the history he helped make back to the values and influences of his early years. Released to public television stations earlier this year, Witness to Hope has already been named winner of a special jury award at the Houston International Film Festival, and a Cine Golden Eagle Award. See http://www.icommag.com/april2001/april2001_witnesstohope.html about the making of the documentary. Enjoy BBC's chilling adaptation of the Victorian Gothic novel Uncle Silas, written by Sheridan Le Fanu. This atmospheric period drama about a young girl in a Victorian castle, tormented by her evil governess, will put you in the Halloween spirit. Directed by Peter Hammond and staring Peter O'Toole and Jane Lapotaire. 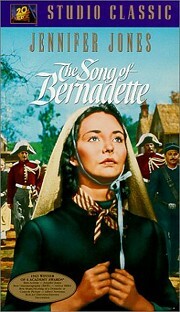 Jennifer Jones plays the legendary French peasant who claimed to have dialogues with the Virgin Mary at a Lourdes grotto in 1858. The script handles the visitations as an article of truth (Linda Darnell plays the Virgin), which helps move the drama forward, though much of the story concerns the conflicts that arise in the community after Jones is told the grotto contains healing waters. Made by Henry King (The Snows of Kilimanjaro), the film is gorgeous to look at and sensitively directed; and Jones (who won an Oscar for Best Actress) is radiant in the lead. Whatever one's religious persuasion, this is a strikingly handsome Hollywood production to be enjoyed. The film also earned Academy Awards for cinematography and score.